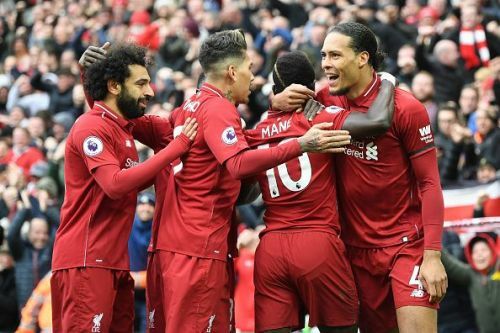 Liverpool hosted Chelsea in the marquee clash of matchday 34 of the 2018/2019 Premier League season and came out 2-0 winners courtsey goals from Sadio Mane and Mo Salah. With both teams needing maximum points for differing reasons - Liverpool to maintain their title charge and Chelsea to keep up their top four hopes, the first half was expectedly a cagey affair, with both sides engaging in a chess match that ensured the half-time scores remained goalless. However, Liverpool came out all guns blazing in the second 45 and needed just two minutes and 22 seconds to race into a two-goal lead and showed the necessary wherewithal to protect their lead. 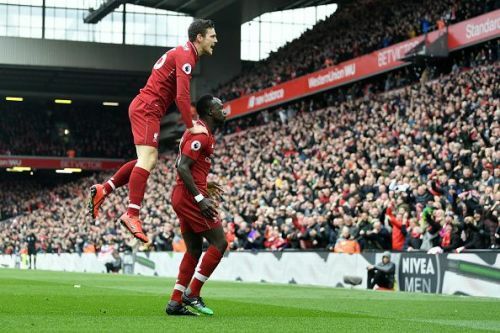 The victory ensured Liverpool maintained their two-point lead atop the standings albeit having played a game more than Manchester City, while Chelsea suffered another setback in their quest to finish in the top four. In this piece, we shall be taking a look at four reasons why Chelsea lost the match to Liverpool. It's been 29 years since Liverpool won the league title in England and in that time, there have lots of near misses, slips and ghastly errors which have cost The Reds multiple titles. Liverpool fans have watched on aghast, as their club which was undisputedly the greatest in England and one of the best on the planet have been knocked off their perch. However, the Kop has earned respect over the years as one of the most passionate sets of fans anywhere and despite all of the disappointments from their beloved team over the years, they have neither lost the verve, passion nor wavered in their support for The Reds. Performances up till this point this season have gotten fans believing once again that this is their year to end the long wait for league glory. In the game against Chelsea, Liverpool fans came out in full force, filling Anfield to the rafters and cheering their team on to victory. The enthusiasm could be heared before the blast of the whistle, as 53.000 Liverpool fans belted out a passionate and heartfelt rendition of their 'You'll never walk alone' club anthem. This anthem has been used as a rallying cry in the past to spark some of the greatest moments in this great club's history and on the day against Chelsea, it served its purpose. Football fans are universally accepted as being the '12th man' on a football field as they provide the requisite support needed to give their players an extra lift and against Chelsea, the Liverpool fans played their role and some extra.